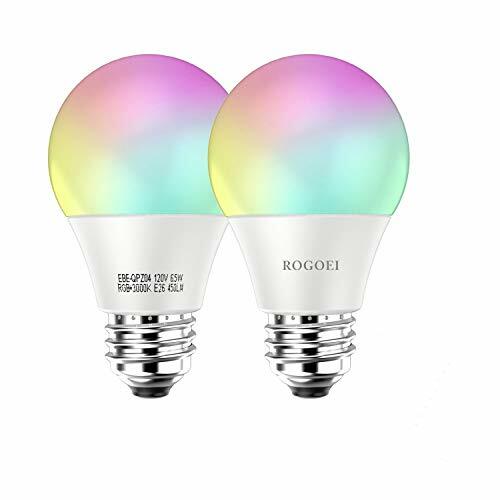 ●Compatible with Alexa and Google home, you can adjust the light with your mood. ●Pure white light, protect your eyes at night. ●Perfect decoration for home, hotel, conference room, museum, bar, cafe, restaurants, birthday party. 1. Download free app ‘Smart Life’. 2. Register/login your account by email address or telephone number. 3. Add a new device and connect with your Wi-Fi, give a name to the bulb. 4. Log in your Smart Life account, bind Smart Life account to Alexa. 5. Tap ‘DISCOVER DEVICES’ on the Alexa app. The device will be paired to Alexa App from Smart Life App. Then you can control the light with Alexa app. ●Metal lampshade will weaken signal, please pay attention to the location of the router and the strength of the WiFi signal. 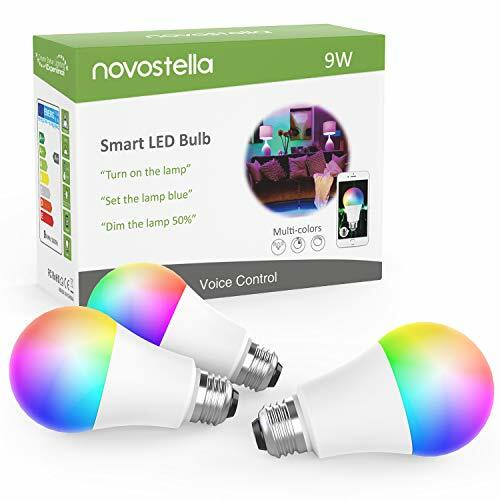 【Multicolor LED Bulb】-There are over 16 million color options in one Novostella Smart RGBCW LED Bulb. Every color is dimmable. 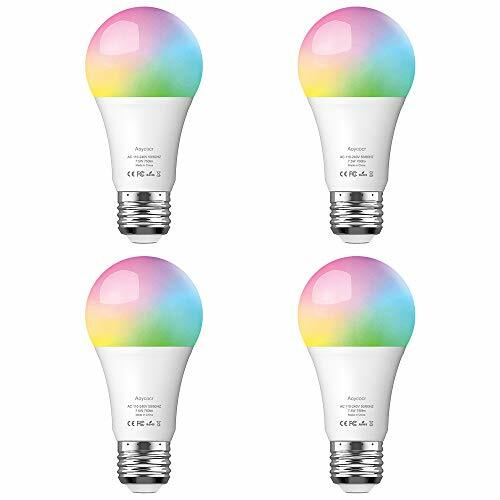 You can change from Warm White, Cool White to multiple RGB colors, having fun in expanding limitless lighting possibilities for your projects. 【Control from Anywhere】- Turn smart bulbs on or off from anywhere with your smartphone using the Smart Life app (Compatible w/ Android & iOS). Set-up is easy and takes only a few minutes with the detailed mannual. 【Voice Control】- Compatible with Amazon Alexa (Echo/Dot/Tap) and Google Assistant for voice control. Just simply connect to your 2.4GHz (not support 5G) Wi-Fi network and enable the Smart life skill in Alexa app. 【Timer & Dimming 】- Schedule bulbs to wake you up in the morning, to turn on when you are back and so on. 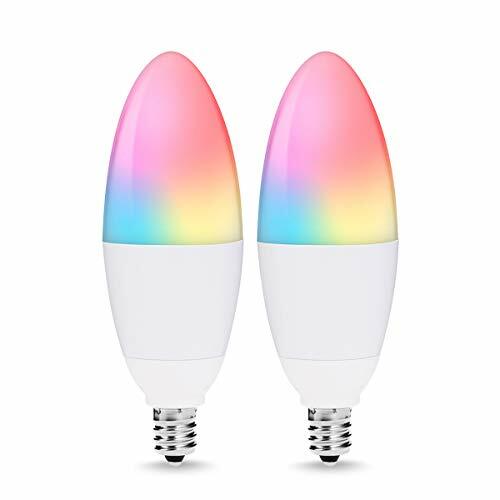 Stepless dimming from 0-100% to turn bulbs into nightlight, reading light and sleep lamp etc. 【Wide Usage】- This bulb conforms to FCC & RoHS standards for safety and quality assurance. A19 shape plus E26 base fits most lighting fixtures. 8 scenes to meet your needs on ambience lighting for home, office, hotel, conference room, museum, bar, cafe, restaurants, birthday party etc.